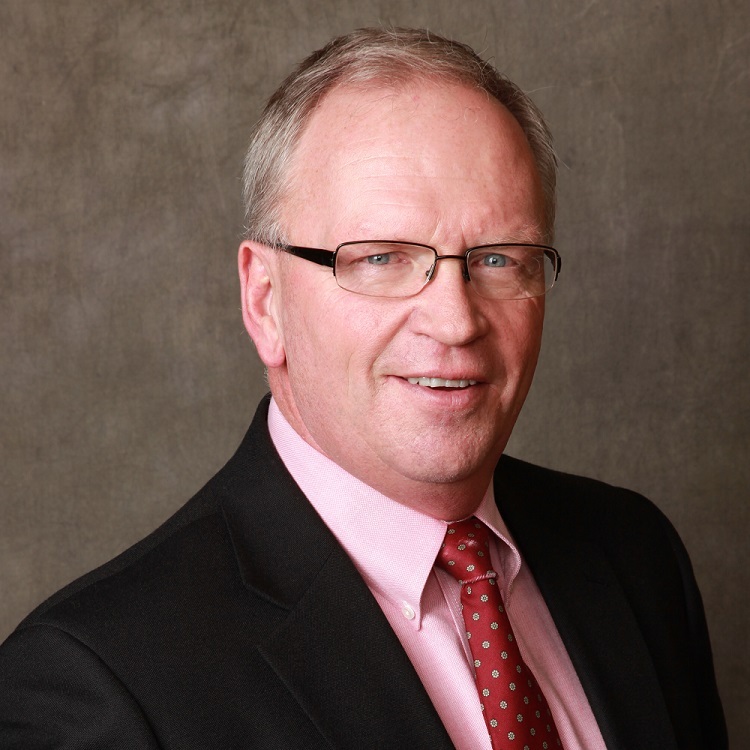 At the end of March, I will be retiring after working with ag associations in Nebraska for about 25 years, the past 8 years with Midwest Dairy and the Nebraska State Dairy Association. While the industry has had ups and downs, the resilience that this industry has is remarkable. I want to thank everyone for the support you have shown. The joint efforts of Midwest Dairy and the NSDA has provided a foundation to work together to build and strengthen dairy in Nebraska. Dairy has a great bond with the University through Dairy Extension, the State of Nebraska Departments of Agriculture and Economic Development, AFAN and the other commodities, and with many in the business community. As Kris Bousquet moves into this position, I look forward to watching what exciting things can continue to develop. This is not “Goodbye” but “see you down the road,” as our paths continue to cross. 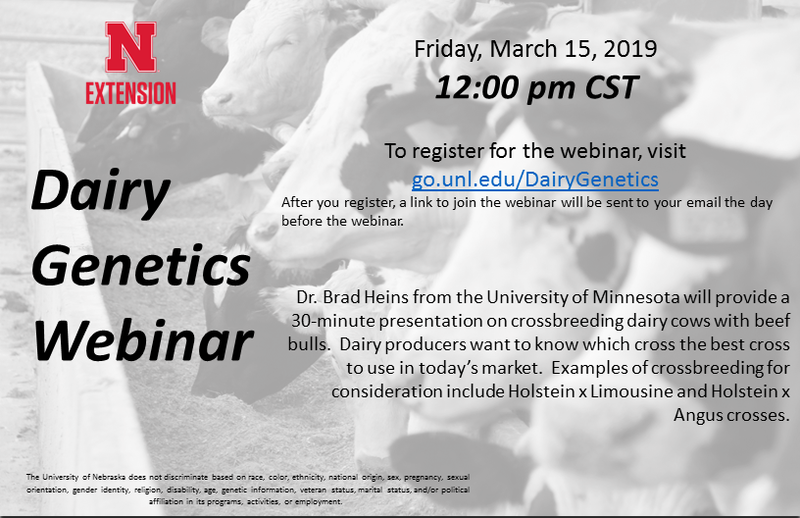 Dr. Jan Shearer, DVM, MS - Dairy Extension Iowa State University will be providing information on lameness and foot problems. Registration is only $30 per person and can be paid at the door the day of the workshop. 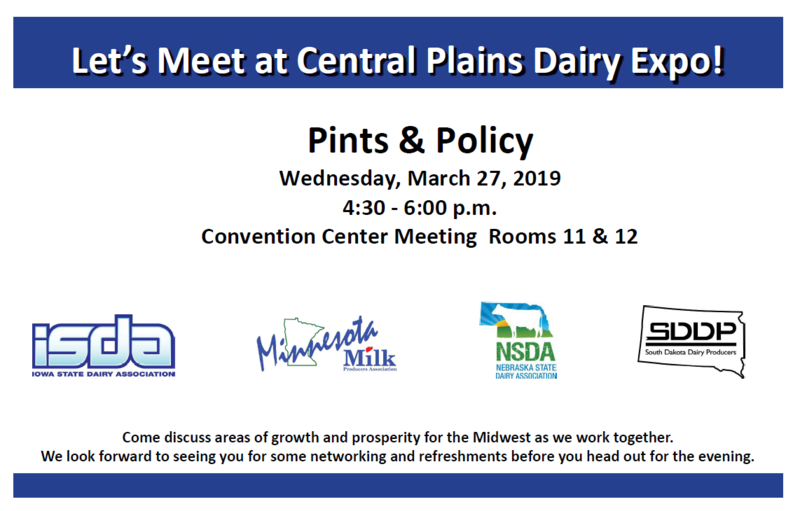 The Nebraska State Dairy Association met on February 27, 2019 in Columbus, Neb. During this meeting the 2019 NSDA officers were voted upon and approved. 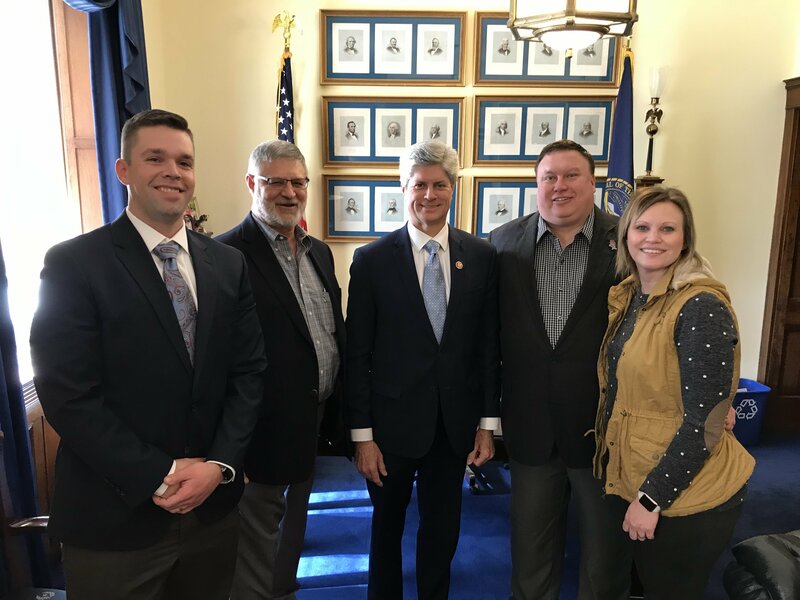 (Washington D.C.) – Twenty-four meetings in 48 hours is what six dairy farmers from Midwestern dairy State Trade Association s of Iowa, South Dakota and Nebraska accomplished on an annual joint trip to Washington, D.C. on March 6-7. The purpose of the trip was to build relationships, advocate for legislation on behalf of dairy farmers and ensure proper implementation of federal government programs. Dairy farmers met with Senate Ag Committee staff, Farm Service Agency, congressmen/women, senators and more. The top issues discussed included Farm Bill implementation, trade, whole milk in schools, and workforce development, labor and immigration. Dairy farmers in attendance included Robert Horst and Lee Maassen, Iowa; Bob & Kelsey Larson and Bill Thele, Nebraska; and Marv Post, South Dakota. College sophomores through seniors with a future career in dairy are eligible for one $1,500 and one $1,000 award. When answering the essay question on future career plans, please describe how your education will be used to support the dairy community. Students pursing any college major/degree are eligible for one of five $500 awards. The online application is due April 15, 2019. Recipients will be notified by May 15, 2019. For a list of eligibility requirements and to complete the online application, click here. 26: I-29 Moo University Dairy Beef Short Course at Central Plains Dairy Expo. Click here for agenda and to register. 24: Hoof Care Workshop; Platte County Extension Office, Columbus. $30 per person which includes lunch. Click here for the agenda and to register. Copyright © 2019 Nebraska State Dairy Association, All rights reserved.